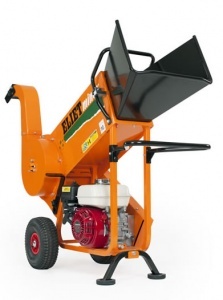 Garden shredding made easy with ELIET's Maestro Country shredder. Boasting a 208 cc Briggs & Stratton engine along with a generously sized 80 litre collecting bag, this is an excellent garden shredder. 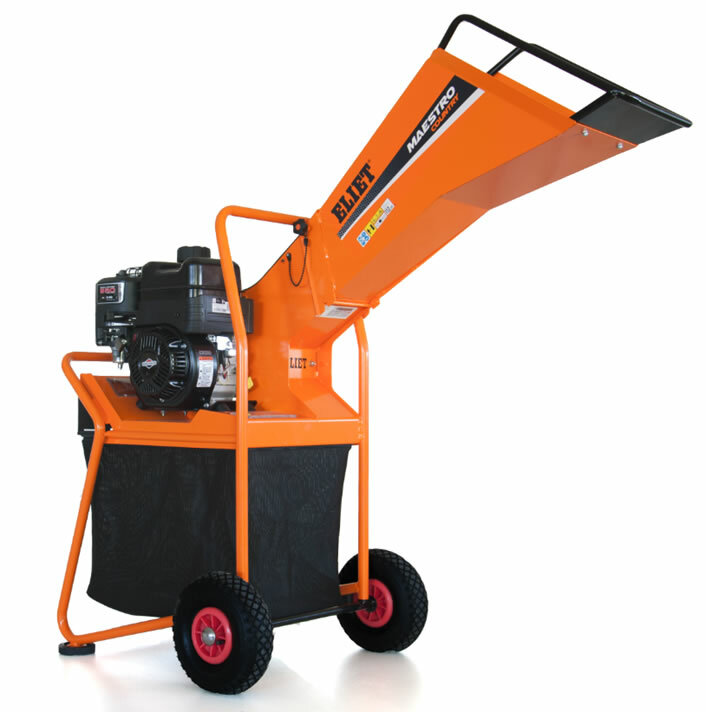 A large 80 litre collecting bag is provided as standard with this machine, so you can shred more material without the need to stop to empty it. A simple sliding mechanism with magnetic contacts make this as smooth and effortless as possible. Sound insulation in the funnel helps with operating noise, while the sliding safety flap on this model needs no screws or tools. As well as the engine being mounted on silent blocks and anti-vibration technology built-in, two rubber soles on the feet of the machine help keep operation stable and comfortable. The steel chassis reinforces this model's excellent build-quality. The funnel is not only 5 cm wider and longer, providing easier intake, but can be removed and features handles for easier transportation. Briggs & Stratton's XR 950 208 cc engine powers the shredding in this model, allowing it to perform up to 36,000 cuts per minute in conjunction with the twelve ELIET RESIST™ knives. These are also reversible, allowing you to ensure your shredder has outstanding cutting performance for as long as possible. 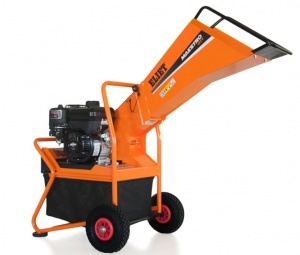 It can handle a timber diameter up to 40 mm. ELIET's Chopping Principle means the Maestro Country cuts the wood with the grain, in the most efficient way possible, exploiting its weakness. This gives uniform chips that work superbly as a mulch layer or on a compost heap. Able to shred timber up to a diameter of 40 mm, this garden shredder is powered by a Briggs & Stratton 160 cc engine, and comes with a 60 litre collecting bag as standard.